Investing in the top marijuana penny stocks on the market can be an exciting way to grow your portfolio. They give investors an affordable entry point into one of the hottest markets in the United States. In fact, the top marijuana penny stocks to watch in February 2019 can bring gains as high as 300%. 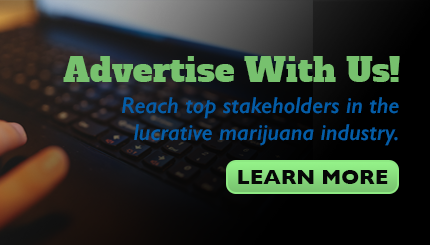 Local and federal governments have been legalizing cannabis more and more over the past year. That's only going to increase the size of markets and the amount of demand. Let's look at all the milestones. In mid-October 2018, Canada legalized pot all across the country. In late October, the incoming Mexican government said it would take steps to legalize cannabis. Just a short while later, three U.S. states joined the ranks of those that have legalized medical or recreational cannabis. Utah and Missouri voted to legalize medical use of pot, and Michigan voted to legalize recreational use. That's all good news for marijuana penny stocks. But as we've told you before, penny stocks as a group can be risky and volatile, subject to high price swings to the upside and downside. Our top marijuana penny stocks to watch in February 2019 are expected to skyrocket as the trend toward legalization continues in 2019. However, we always caution readers to never invest more than 2% of your investing capital in penny stocks. These stocks are all innovators in the cannabis industry and are creating cutting-edge ways of achieving profits – both for their shareholders and themselves. Our No. 3 stock to watch is Easton Pharmaceuticals Inc. (OTCMKTS: EAPH). EAPH is the maker of Nauseasol, a gel that treats motion sickness. It also makes Skin Renou HA, a cream that combats aging skin. Benzinga indicated in 2017 that EAPH was close to putting together a cannabis business deal with the Canadian company Alliance Group. The deal is expected to be worth $1.3 million. Easton has contributed $575,000 to the deal already. Once it is completed, EAPH will have 45 acres for cannabis cultivation and production under its control. Until the property produces a yield that is marketable, Easton will get half of Alliance's revenue. 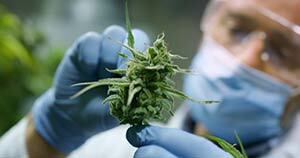 EAPH can either sell the cannabis from the deal to pharmaceutical companies or use it for its own products. The rising demand for cannabis spurred by increased legalization will impact EAPH's bottom line positively in the future. New York–based 22nd Century Group Inc. (NYSE: XXII) focuses on plant biotechnology and advanced engineering tech to manage the nicotine levels in plants. Currently, it grows tobacco with 97% less content in nicotine than natural products have. Its use is for smokers trying to reduce or quit nicotine. The products have provided XXII a means to join a growing market, one that was responsible for revenue of $2.9 billion in 2018. The same technology can also be used in the legal weed market. Currently, the company is utilizing its tech to assist hemp farmers in meeting U.S. requirements for the content of THC in their products. The United States mandates that hemp crops containing THC levels greater than 0.3% have to be dumped. By 2025, the hemp market worldwide is forecast to be worth $10.6 billion, according to Grand View Research Inc. Currently, XXII trades for $2.50 per share. But Chardan, an investment bank, sets its 12-month target price at $11.50. If it hits that forecast, investors could realize profits of 360%. A whopping return, you say? Our next cannabis penny stock to watch is expected to skyrocket even more on its innovations. Washington-based GrowLife Inc. (OTCMKTS: PHOT) focuses on hydroponic equipment, farming soil, organic plant nutrients, and other specialty products that aid pot cultivators. One of PHOT's innovative methods is to utilize e-commerce to market and sells its products, in addition to selected retail organizations. Not every pot producer uses e-commerce. The online shops include ShopGrowLife.com, Geners.com, and GrowLifeEco.com. PHOT is positioned to benefit from the growth of legalization and is managing its business to take advantage of it. In mid-October, it issued an announcement that it had purchased majority control of EZ-CLONE Enterprises Inc., a company that makes indoor cultivation equipment, including food and other hydroponics lines. EZ-CLONE has won awards for its products. PHOT is targeting its business in hydroponics due to lower costs and higher quality in those products. It has also focused its efforts on Canada, where full legalization rules. PHOT exhibited at Hempfest in Calgary last October, meeting legal cannabis industry leaders and displaying its efforts and products to other exhibitors, attendees, and news outlets. Currently, PHOT trades at $0.0084. Its 52-week high, however, was $0.05, so it could rise over 495% if it reaches that again. Our three top penny stocks to watch in February 2019 all offer investors ringside seats in an exciting market trend – the steps toward full legalization of cannabis.